EDB to MBOX converter software is used to convert the Exchange EDB files into MBOX file format. The software does not require any standalone application which supports the MBOX file format. Plus, it supports all the editions of Windows operating system from Windows 10 and below editions with support for both 32 as well as the 64-bit operating system. Supports batch conversion of Exchange EDB emails to MBOX file format. Advance scanning option to recover the corrupted Exchange EDB file. Supported MBOX email client is not required to convert the Exchange EDB emails. Recovery of both public and private folders of the EDB file is supported. The software is compatible with 17 email clients which support MBOX file format. By using the EDB to MBOX converter software users can export all their Exchange EDB file emails into MBOX file format. The software creates the single MBOX file for each folder which is present in the Exchange EDB mailboxes. Using this software the users can recover the data from Exchange EDB file with the help of two options. First, Recover Exchange Server private store database file(mailboxes) and second, Recover Exchange Server public store database file(public store file). This software works good with the corrupted Exchange EDB file and allows users to recover the data from that file. Plus, it performs the quick scanning of the EDB file selected by the user. In case the EDB file is highly and severely corrupted than check on the option for advance scanning of the EDB file. While selecting the data to export the Exchange EDB mailboxes into MBOX. The users can check or uncheck the respective mailboxes. By this way, the users can export the selected item folder which only contains emails in it. The software creates the single MBOX file for each item which is selected by the user. After scanning of the EDB file has been completed then the software lists all the mailboxes which are present in that EDB file. Users can select any particular folder within the mailboxes and then preview all the data like contacts, emails, calendars etc. in its original format. Plus, the emails can be previewed with the associated items like To, From, Subject, Contact Name, Size of File, email address etc. Once the Conversion process start, software will show you the status of pending mailboxes, which will be in listed in one tab; in the second tab will show mailbox in progress with all items count while, the third tab will show a list of all mailboxes being successfully migrated. EDB to MBOX Converter is an outstanding software, which easily handles all the Exchange EDB mailbox conversion to MBOX file format. With the launch of this tool, the search for a perfect and reliable tool to export Exchange database to MBOX gets a successful result. 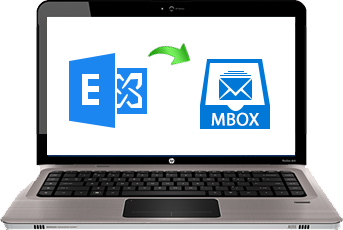 I am able to convert my Exchange EDB mailbox to MBOX working under Windows 10 Operating system. Thanks for creating an amazing software with great technologies used. MBOX is the right choice while looking for a temporary storage of Exchange EDB database for easily moving the data. Then a colleague of mine suggested about EDB to MBOX converter software for processing and converting the EDB data and I am grateful to the developers and engineering team for understanding the people needs and making such an amazing software. There are many times and scenarios where the Exchange Server users want to create a safe copy of their data in some other email client. Then the easiest choice out of all is to export the Exchange EDB file data to MBOX file format. Because the MBOX file format is mostly used everywhere and many email clients use the MBOX file format only. So, in this case, the user need to export EDB data to MBOX. What is the Need of EDB to MBOX Converter Software? The basic need for using the EDB to MBOX converter software arises when the user wants to export all the Exchange EDB mailbox data to MBOX file format. As there are some users who want to keep their Exchange Server data safe in same other email clients for accessing it in case the data gets deleted from the Exchange Server. Plus, MBOX is supported by mostly every email client. Therefore, these were the few above-mentioned reasons why there is a need for EDB mailboxes to MBOX converter software. Exports all the Exchange EDB file data to MBOX file format. Easily recovers the corrupted EDB file and then export it as MBOX file. Selected items from the Exchange EDB file can be exported to the new MBOX file. It generates the progress report after completion of every conversion process.